have purchased our comprehensive Forklift Safety Training Kit in Spanish and are in need of a replacement or additional handbook, authorization cards and certificates of achievement. 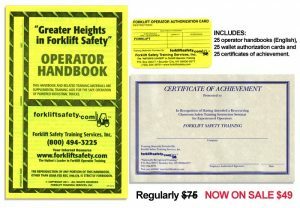 have purchased our complete Forklift Safety Training Kit in Spanish and have 20 employees or more that require forklift safety training. 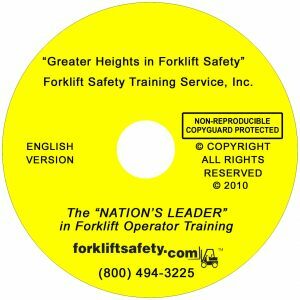 INTRODUCTION: This forklift training manual in Spanish contains OSHA’s Powered Industrial Truck regulation 29 CFR 1910.178 that was revised on April 3, 2006. 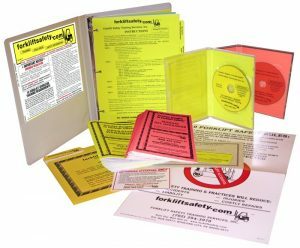 These supplemental training materials will equip you to comply with the specific training requirements and safe operating procedures that are detailed in this regulation. Failure to comply with this regulation could result in costly OSHA fines or penalties, in addition to expensive liability and litigation, product damage, lost wages, and medical bills. 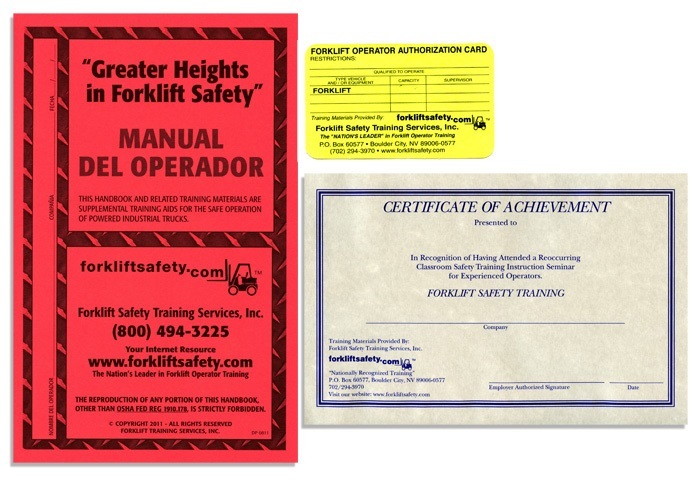 More than 68,000 forklift accidents have been reported and there have been over 13,000 Worker’s Compensation claims filed as a result of forklift incidences alone. 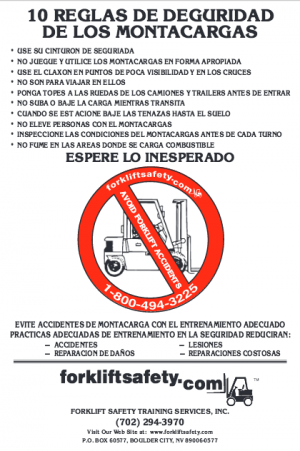 Approximately 70-90% of all forklift accidents are a result of operator error. Additionally, improper operation and poorly trained operators often contribute to unnecessary wear and tear that can result in higher maintenance costs as well.